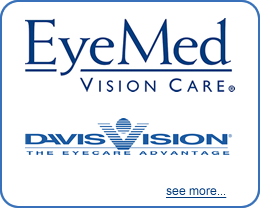 Looking for quality Eye Care in Boardman? For Eye Exams & More, Call! At Boardman Family Eye Care we provide a range of eye care services. No matter what your eye care needs are, we can help! Annual eye exams are vital to maintaining your vision and overall health. We recommend annual eye exams for all our patients as a great deal about a person's general health can be detected during an eye exam. The doctors can sometimes tell if you are a diabetic or have high blood pressure by looking inside your eyes. Also, most eye disease is symptomless in its' earliest stages. Patients cannot tell if they are developing certain diseases as they may not cause blurred vision or eye discomfort. 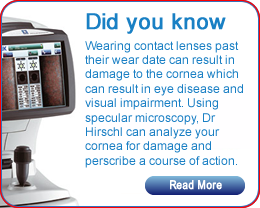 Dr Hirschl uses a specular microscope to diagnose corneal disease in its very early stages. Specular microscopy is a noninvasive photographic technique that allows for analysis and visualization of the corneal endothelium. Early eye exams of children is based on evidence that normal development of vision can be disrupted by the early onset of visual anomalies. Many visual problems occurs in the first 6 years of life. If not diagnosed and treated early, they may have serious as well as lasting consequences. At what age should children be examined to ensure that the visual system is developing normally? It is generally accepted that all children should be seen before the end of the first year of life. If there is a family history of strabismus, lazy eye or any concern about vision, the infant should be examined by 6 months of age. 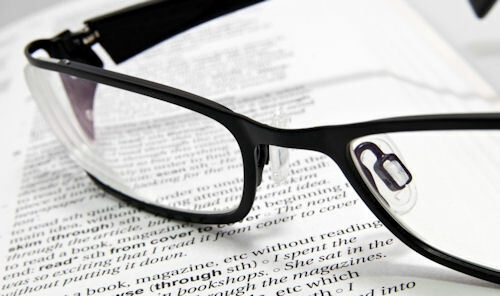 As a service to our patients, we will assist you in your desire to become spectacle and/or glasses free. Please let the doctor and staff know if you are interested in refractice surgery. Through careful screening techniques, we can determine if you are a good candidate for lasik surgery. If you are, we can arrange for this procedure to be done by a skilled surgeon. We will follow you pre and post-operatively to maximize your post surgery outcome. Glaucoma is a group of eye diseases that cause progressive damage to the optic nerve, resulting in loss of vision. Glaucoma is one of the leading causes of blindness in the U.S. Most forms of glaucoma develop slowly and usually without any symptoms. But, if glaucoma is detected at an early stage and treated promptly, it can usually be controlled with little or no further vision loss. That is why annual optometric examinations are so important for people at risk of glaucoma. During a routine eye exam, the doctors may want to determine through visual field testing the full horizontal and vertical range of what you are able to see peripherally. This range is commonly referred to as "side vision." There are many vitamins that can also help your eye health. Learn more. Boardman Family Eyecare has a wide variety of frames to choose from and we have glasses for every budget! 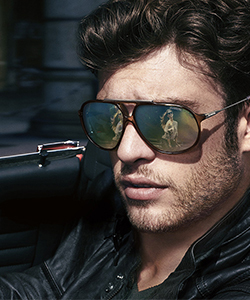 Come in and let our experienced, opticians assist you with selecting eyeglasses that are stylish and lens options that are appropriate for you as related to your occupation and lifestyle. We are excited about our newest piece of equipment which will deliver unprecedented imaging details to aid in our clinical decision making. 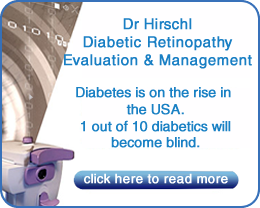 The HD-OCT provides uniquely detailed HD maps and images of the retina to aid in retinal disease management. This 3-D image allows for new ways of visualizing the retina, which ultimately means better patient care. In addition, Our office offers Digital Retinal Photography, which uses a computer-integrated digital imaging system to record a detailed view of the retina and the major internal structures of your eyes. Color blindness is well known but very few people are really color blind.